People like to listen to audiobooks while walking, driving and resting. Have you ever encountered with such a frustrating situation below? You purchased an audiobook from iTunes store but failed to play it on your Android devices, like Samsung Galaxy Tab, HTC smartphone, Motorola Xoom, etc. In fact, audiobook from iTunes store is in M4P or M4B format that is limited to play on Apple devices. Unfortunately, Android devices are incompatible with M4P and M4B files but unprotected MP3 files. In this case, you should find an audiobook converter which can convert M4P and M4B into MP3. 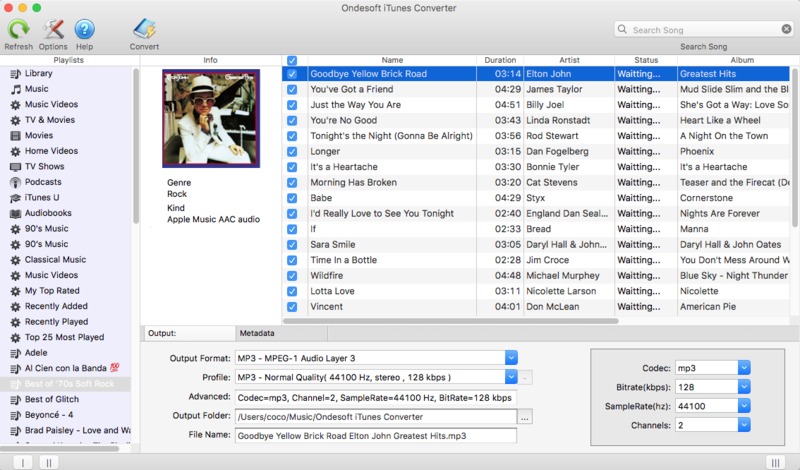 As to remove DRM protection and play purchased or authorized audio books on Android Devices, Ondesoft Audiobook Converter is the must-have app for Mac. Ondesoft AudioBook Converter is well known for its up to 16X converting speed and multiple output formats including MP3, AAC, AC3, AIFF, AU, FLAC, M4A, M4R, and MKA - find the one that suits best. 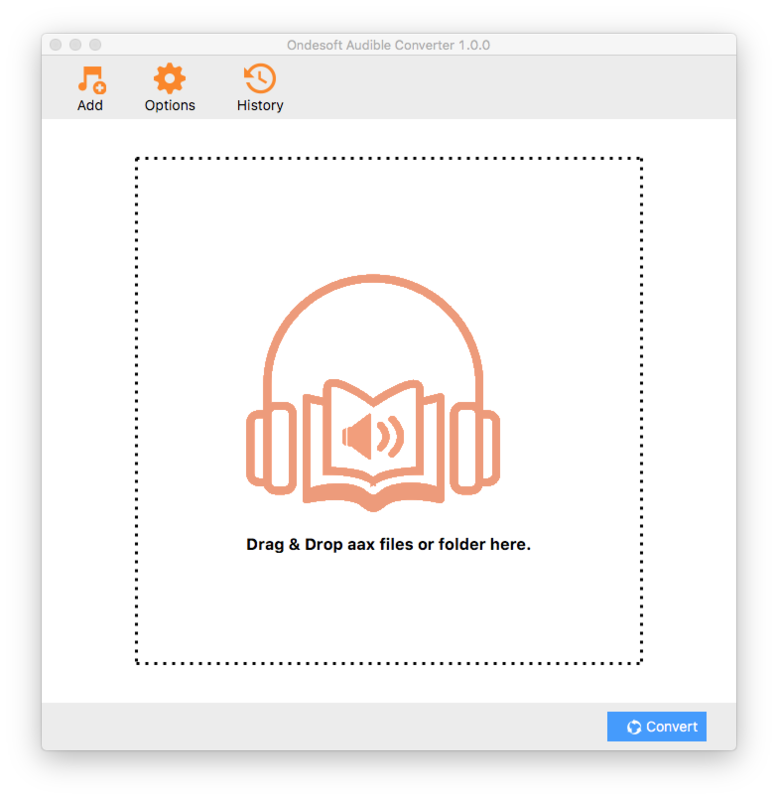 How to convert iTunes M4B audiobooks to unprotected MP3 format with Ondesoft AudioBook Converter to play on Android devices? 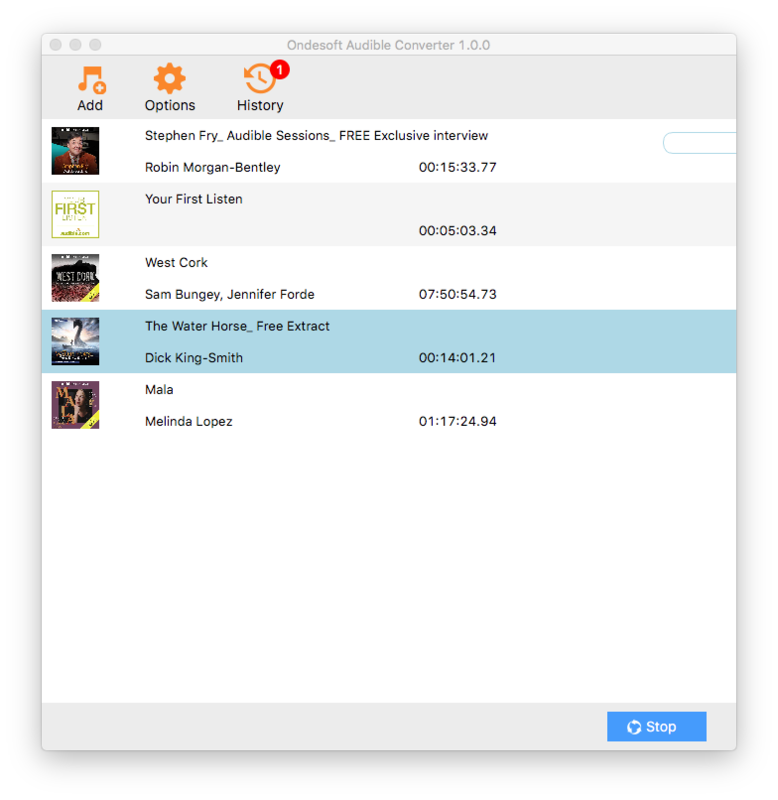 Step 1: Download and install the trial version of Ondesoft AudioBook Converter, which converts three minutes of each audio book. To remove the limitation, please get registration code here. Step 2: Ondesoft AudioBook Converter grabs all audio books in your iTunes Books folder and shows them in the interface, select the audio books you want to converter. Step 3: Set the profile of output file: format, codec, bitrate, sample rate and channels. You may configure and save your own audio profile and format of output filename. After conversion, which is very fast, you could copy the DRM free audio files to your Android Devices. Now you can drag&drop or copy&paste the DRM-free audiobook to your Android devices or using Android sync tools such as iSyncr Android, Synctunes, DoubleTwist, etc. How to convert M4B audiobooks to mp3? How to convert Audible aa/aax audiobooks to mp3? How to remove DRM from iTunes audiobooks?